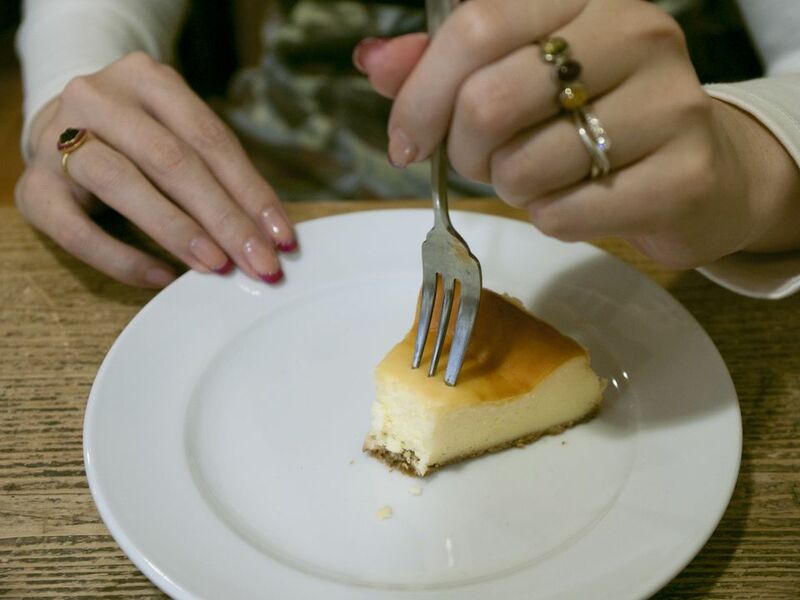 Polish cheesecake—sernik—is a dessert you will see no matter what part of Poland you happen to visit. But, as you might expect, there is an infinite number of varieties. Some are crustless, some have pastry crusts and yet others have a cookie or shortbread crust (as this one does) or a graham cracker crust. Sometimes they're baked in rectangular pans and sometimes in round pans. If you can't find dry curd cheese, you might want to make your own farmer's cheese from scratch. It's really simple. This recipe is for Polish cheesecake with a cookie crumb crust. The filling is very rich and needs no embellishment but, if you must, fresh fruit and whipped cream never hurt anything! Crush 1 pound shortbread cookies in a food processor. If using graham cracker crumbs, add 1/4 cup sugar. While the processor is running, pour 2 tablespoons melted butter through the food chute until crumbs begin to clump together. Pat crumbs into the bottom only of a 13x9-inch or a 10-inch springform pan. Place in refrigerator while you prepare the filling. Heat oven to 350 degrees. In a medium bowl, cream together 8 ounces room-temperature butter and 1 cup confectioners' sugar until light and fluffy, then add 1 pound of the cheese, mixing thoroughly. Set aside. In a separate large bowl, combine 8 large room-temperature egg yolks with remaining 1 cup confectioners' sugar and remaining 1 pound of cheese until well blended. Add cheese-butter mixture to cheese-egg yolk mixture and beat until smooth. Sprinkle in 2 heaping tablespoons all-purpose flour, 1 heaping tablespoon cornstarch, 1 level tablespoon baking powder, and 1 teaspoon vanilla, and mix until well incorporated. In a clean, grease-free bowl, beat the 8 large room-temperature egg whites until medium-stiff peaks form. Fold into cheese mixture, preserving as much volume as possible. Remove prepared pan from refrigerator, place on a baking sheet. Fill pan with cheese batter. Bake 50 to 60 minutes or until golden brown and puffy and center is just slightly jiggly. Cool completely on a wire rack, then refrigerate until ready to serve.